These quick reference guides provide information to help you familiarize yourself with what you need to know for the exam. If you need a quick refresher on the DSM-5, look no further! 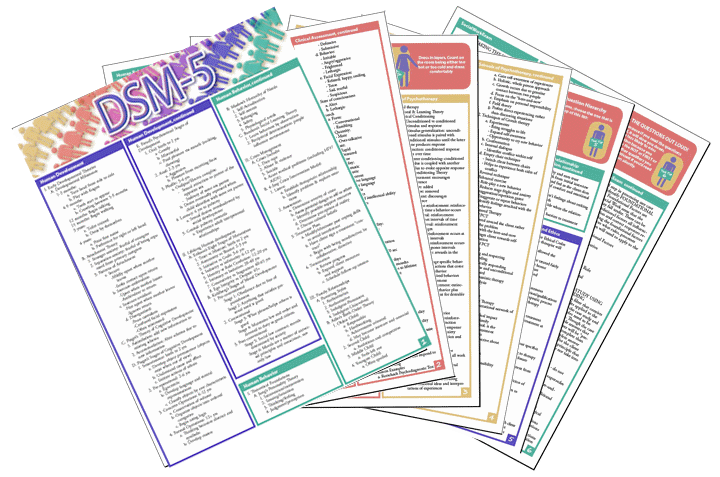 This 6-page outline provides a quick reference for all of the disorders listed in the DSM-5. Your DSM-5 Tidbits will be delivered the same day as your order by e-mail as a PDF file. You can read the DSM-5 Tidbits on your device (computer, tablet, phone) or print them out. The DSM-5 Tidbits Test is included with the purchase of certain subscriptions. Click here to learn more.